First, I have to start this article with an apology. I was actually on the front lines on Opening Day of Toy Story Land, but my notes and photos have been sitting in my computer, like toys collecting dust in a toy bin, for several weeks now. What can I say? There are times when life just gets in the way of my Disney habit. 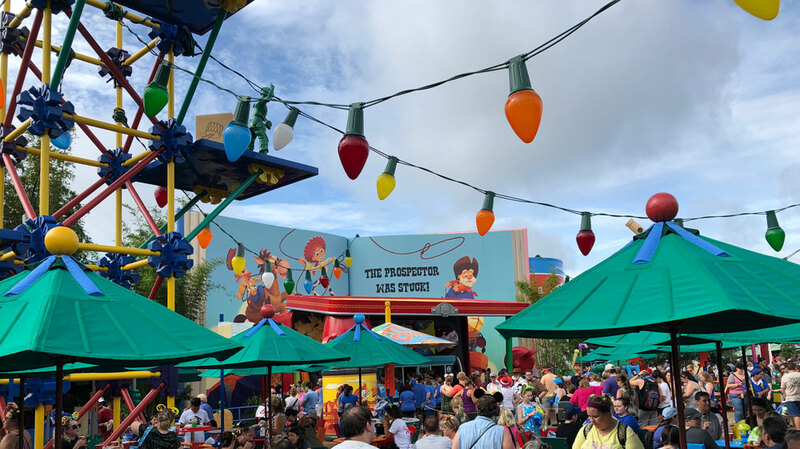 But alas, I intend to make it up to you, our Guide2WDW readers, by taking you back to that very hot day on June 30th when I toured Disney World’s newest attraction! 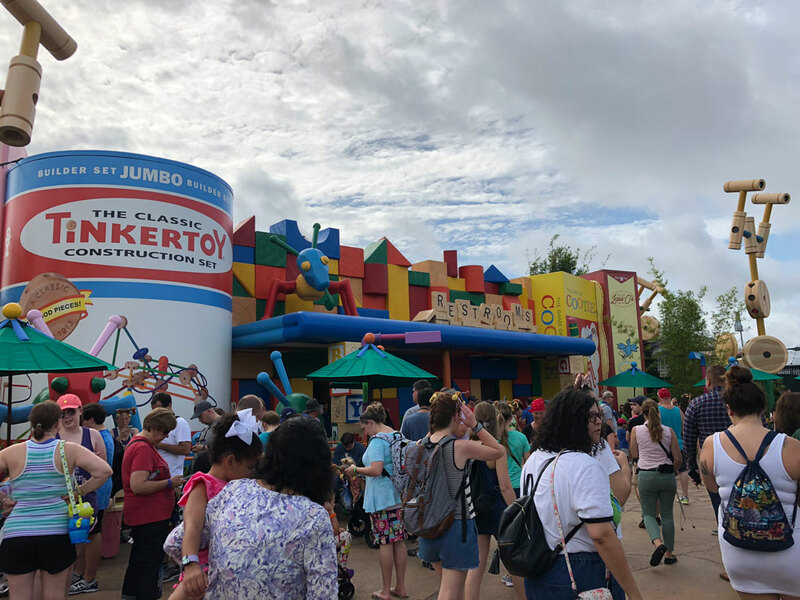 Let’s get right to what people are probably most curious about and talk attractions in Toy Story Land. There are three: the crowd-favorite Toy Story Mania, as well as two new rides, Slinky Dog Dash and Alien Swirling Saucers. While the ride itself is not different, the queue is definitely bigger and better than before. As I walked through, I couldn’t help but be awestruck by the sheer number of hours that Disney Imagineers must have spent in designing the space. The larger-than-life games from our childhood were just delightful, from the Lincoln Logs to the UNO cards to the K’Nex pieces. Even something as normal as a crayon was noteworthy because some of the crayons looked brand new and some others looked used with blunted edges – just like what you would find in any child’s crayon box. 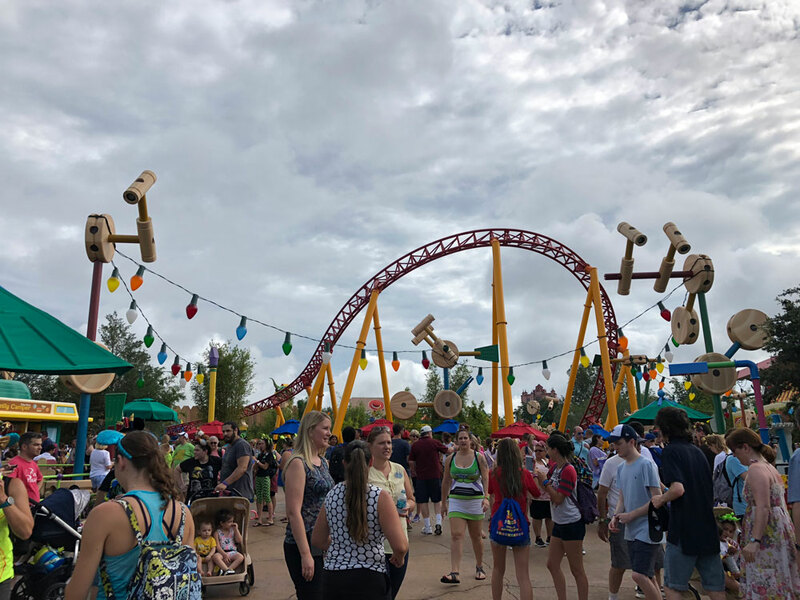 Arguably the centerpiece of Toy Story Land, Slinky Dog Dash is a family-friendly roller coaster set with a height restriction of 38 inches. While the ride doesn’t have the intensity of other coasters like Space Mountain or Expedition Everest, it has its own captivating charm. 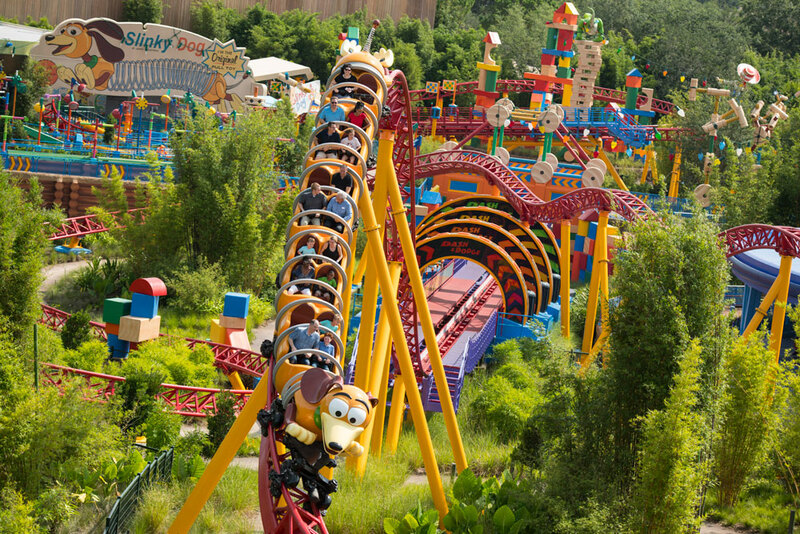 I mean, who wouldn’t want to experience what it’s like to ride Slinky Dog? I know Buzz and Woody and Jessie get all the love, but that Slinky…now that’s a classic, solid toy right there. This ride is especially good for families who may want to introduce the little ones to thrill rides, as it will definitely give some excitement but it won’t scare outright either. My personal favorite were the small hills and dips towards the end of the ride! And here’s one tip: don’t forget to smile for the PhotoPass picture taken at the end of the ride! 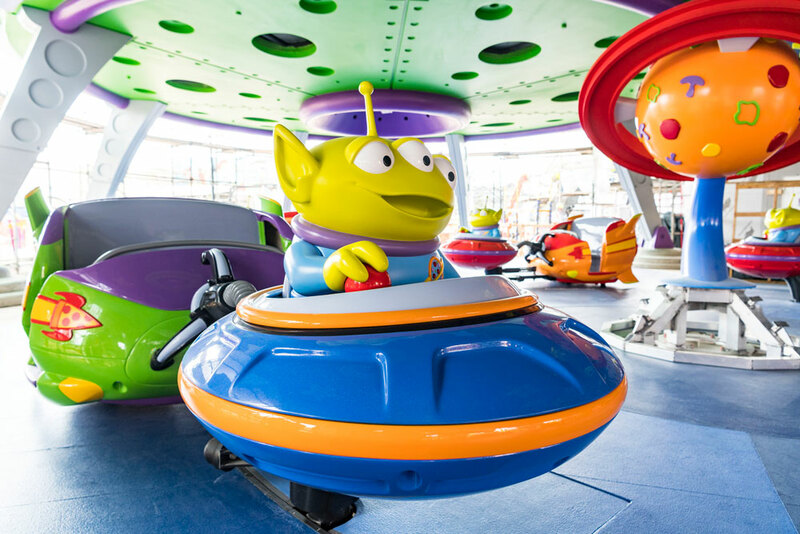 Understandably, the wait for Alien Swirling Saucers was also quite long during opening weekend, so that may be why I was a little bit underwhelmed when I first went on the ride. But here’s the thing – we went on it again (when they lines were not so bad) and it really grew on me. It gave me a Mad Tea Party kind of vibe, but with a little bit of an unexpected twist (Spoiler Alert: if you don’t want to know the unexpected twist, stop reading!). I’m not actually sure if I’ll be able to explain it properly with words, but basically, you start by riding on an alien, and there are maybe 3 or 4 aliens in a platform. There are several platforms that go on at the same time, but you never think that these platforms interact. The surprise is that you go in thinking that your group of aliens just sort of go around in circles in your singular platform, but then one alien in your group unexpectedly moves to another platform! And then another! And then you just don’t know what’s left and what’s right and a whole lot of fun and craziness ensues. You see, I came to realize that these platforms are interlocked, allowing one alien to be released from one platform and move to the next. So parents – if you ride in one alien and your kids in another – you can try to keep an eye on them, but you may be surprised that you don’t see them where you expect them to be, because their alien got zapped to a different platform! 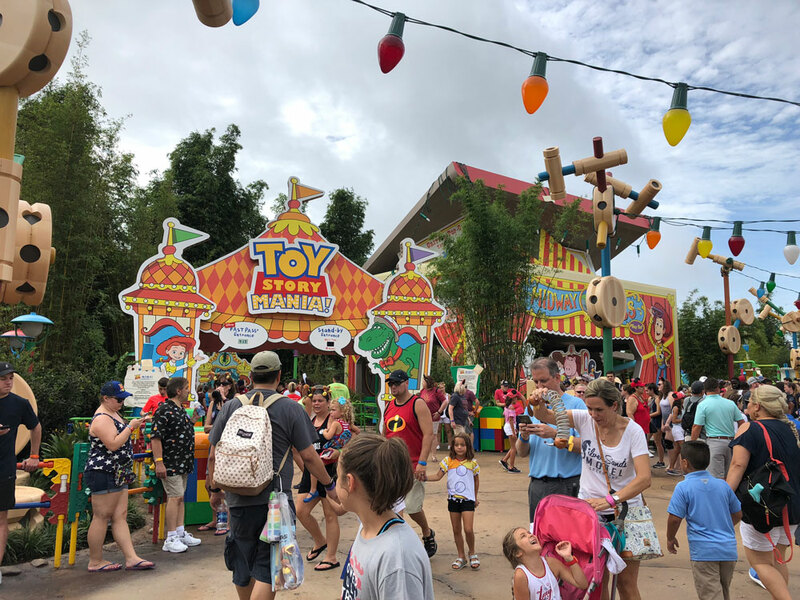 In true Disney fashion, Toy Story Land is nothing but impeccably themed. 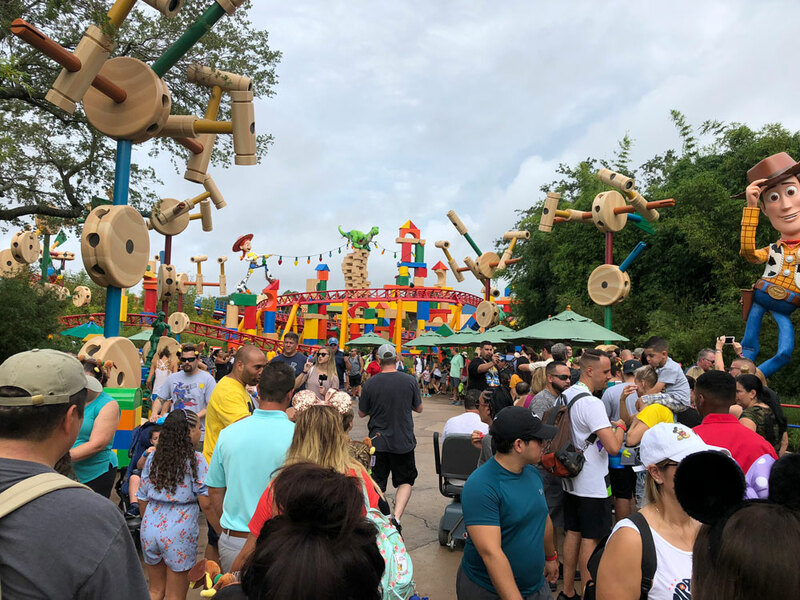 The first thing you are bound to notice is the towering Woody statue situated at the entrance of Toy Story Land, and the next thing you’ll probably see is how quaint it is to have the border fencing be made after K’Nex pieces. And then after that, it’s really reference after reference to all different kinds of toys and gadgets from our childhood. There are Scrabble tiles, UNO cards, bulb string lights, Barrel of Monkeys, dominoes, building blocks, Tinkertoy pieces, and Lincoln Logs, to name a few – all cleverly integrated in the space. You wouldn’t just find a bench to sit on, instead you would be sitting on three domino pieces stacked like a box. If I had to pick a word to describe it all, here’s what I’d use: delightful. Of course, I’d be remiss if I didn’t talk about the good eats. 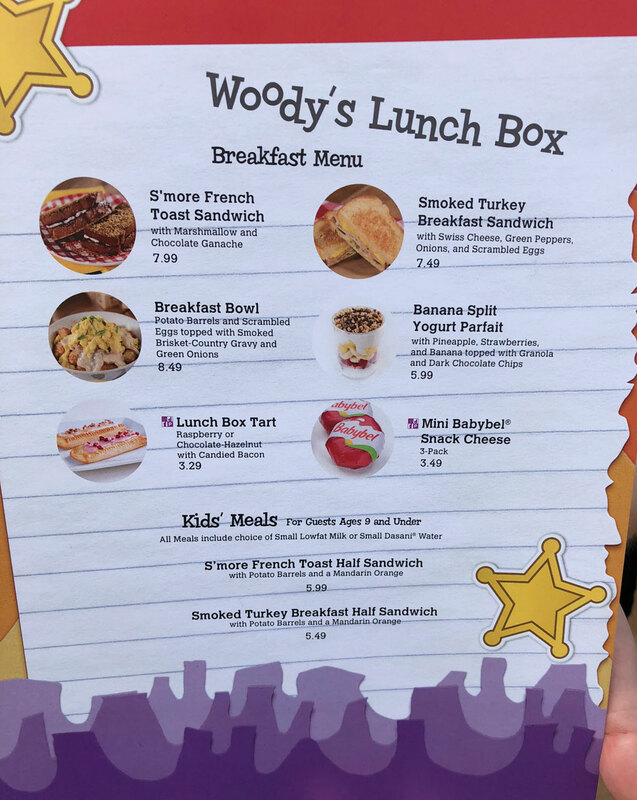 Because we were at the park early for opening, we tried the breakfast offerings at Woody’s Lunch Box (which actually looks like the inside of a lunch box, complete with a thermos bottle holding up the ceiling). We tried both the S’mores French Toast Sandwich and Breakfast Bowl, and while I thought my kids would be all over the French Toast, they actually much preferred the breakfast bowl. I also saw quite a few people ordering the Lunch Box Tart, which looked absolutely delicious. I think Toy Story Land is a great addition to Hollywood Studios, as it caters to the little ones but also has references all throughout that adults would love. The rides can be enjoyed by all ages, and the food is pretty decent too. 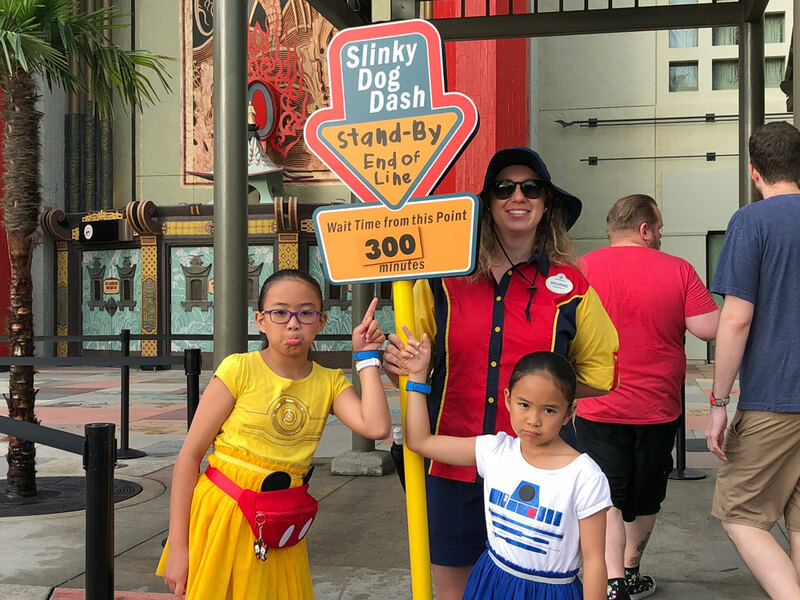 I would highly recommend making a stop at Toy Story Land during your next visit, and making sure that you get a FastPass especially if you are intending to ride Slinky Dog Dash! With that, I will turn it over to you, our Guide2WDW readers. 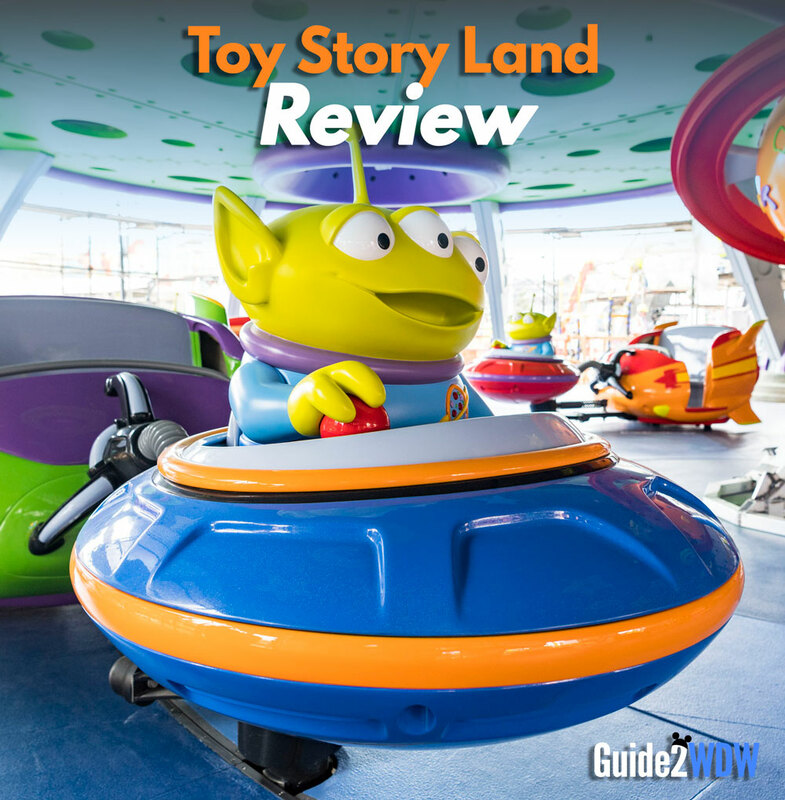 Have you been to Toy Story Land, and what was your favorite thing about it? 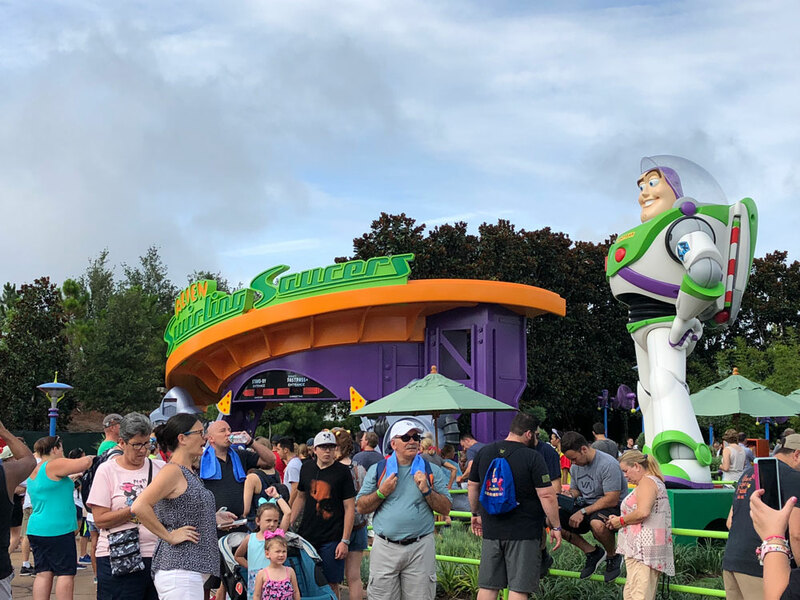 If you haven’t visited Toy Story Land, it’s a great time to start planning your trip! Call me at (920) 526-0809 or email me at myra@worldofmagictravel.com to get a free quote!